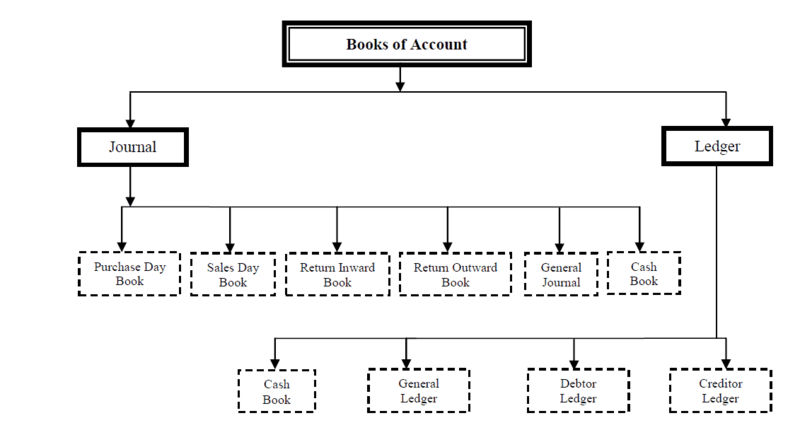 There are two main books of accounts, Journal and Ledger. Journal used to record the economic transaction chronologically. Ledger used to classifying economic activities according to nature. >>> Practical Multiple Choice Questions Books of Accounts MCQs. Purchases book or purchases day book is a book of original entry maintained to record credit purchases. You must note that cash purchases will not be entered in purchases day book because entries in respect of cash purchases must have been entered in the Cash Book. At the end of each month, the purchases book is totaled. The total shows the total amount of goods purchased on credit. Purchases book is written up daily from the invoices received. The invoices are consecutively numbered. The invoice of each number is noted in the purchases book. A sales book is also known as sales day book in which are recorded the details of credit sales made by a businessman. Total of sales book shows the total credit sales of goods during the period concerned. Usually the sales book is totaled every month. The sales day book is written up daily from the copies of invoices sent out. Sales returns book is also called returns inwards book. It is used for recording goods returned to us by our customers. Customers who return goods should be sent a credit note. It is a statement sent by a business to customer showing the amount credited to the account. Purchases returns book is a book in which the goods returned to suppliers are recorded. It is also called returns outward book or purchases returns day book. Goods may be returned because they are of the wrong kind or not up to sample or because they are damaged etc.When the goods are returned to the suppliers, intimation is sent to them through what is known as a debit note. These debit notes serve as vouchers for these entries. A debit note is a statement sent by a businessman to vendor, showing the amount debited to the account. Journal proper is book of original entry (simple journal) in which miscellaneous credit transactions which do not fit in any other books. It is also called miscellaneous journal or General Journal. For example purchase assets on credit, Correcting Entries, Adjusting Entries and Closing Entries etc. Record the following transactions in the appropriate journal? >>> Practice Books of Accounts Quiz 1 and Quiz 2.